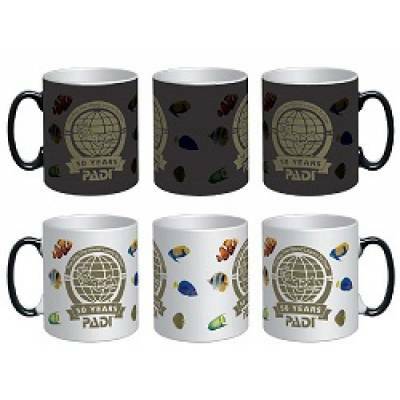 The PADI 50 years Anniversary Celebration wowMug has arrived! This cool mug transforms in colour and display as hot liquids are added! Please note this is one mug that transforms from Black to White, as displayed.